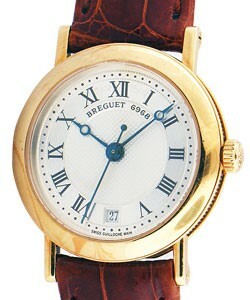 This watch is also known as: M23253 , M-23253 , 5157BA119V6 . 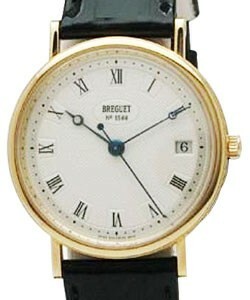 The Breguet Classique Automatic Ultra Slim Yellow Gold on Strap with Silver Dial is a fuss-free stylish watch offering clarity in time checking. 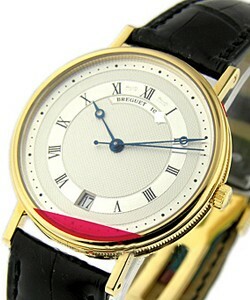 The spacious round thin case is made of 18 KT yellow gold and measuring 38 mm. 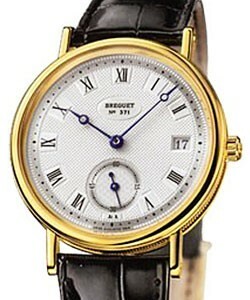 The silver guilloched dial of Breguet Classique Automatic Ultra Slim Yellow Gold on Strap contains Roman numeral markers in black and blue hour and minute hands encompassed by the sapphire glass. 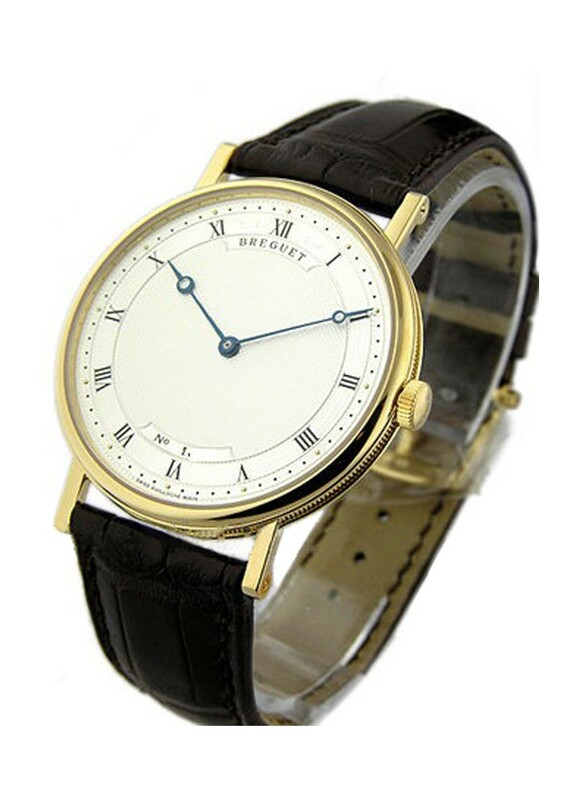 The watch is powered by an automatic movement with a power reserve of up to 55 hours and can withstand water to 30 meters. 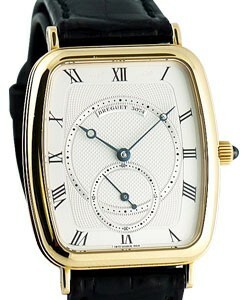 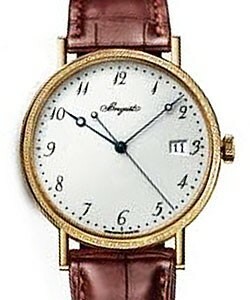 The large almost flat case of Breguet Classique Automatic Ultra Slim Yellow Gold on Strap is an appealing oversized d?cor on any wrist secured by durable leather strap with imprints. 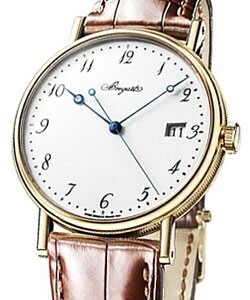 It has the timeless classic look and functionality.